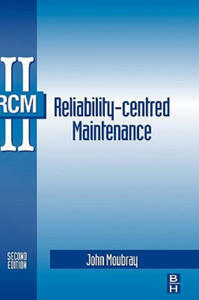 Reliability-centred Maintenance is a process used to determine - systematically and scientifically - what must be done to ensure that physical assets continue to do what their users want them to do. 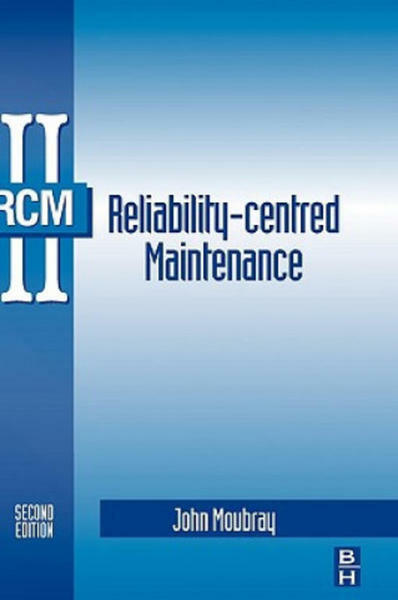 Widely recognised by maintenance professionals as the most cost-effective way to develop world-class maintenance strategies, RCM leads to rapid, sustained and substantial improvements in plant availability and reliability, product quality, safety and environmental integrity. The author and his associates have helped users to apply RCM and its more modern derivative, RCM2, on more than 600 sites in 32 countries. These sites include all types of manufacturing (especially automobile, steel, paper, petrochemical, pharmaceutical and food manufacturing, utilities (water, gas and electricity), armed forces, building services, mining telecommunications and transport. This book summarises this experience in the form of an authoritative and completely practical description of what RCM2 is and how it should be applied. The second edition has been comprehensively revised to incorporate the most recent developments in this field. It includes more than 100 pages of new material on condition monitoring, the analysis of functions and failures, human error, the management of risk, failure-finding and the measurement of maintenance performance. This book will be of immense value to maintenance managers, and to anyone else concerned with the reliability, productivity, safety and environmental integrity of physical assets. Its straightforward, plant-based approach makes the book especially well suited to use in centres of higher education. John Moubray, BSc (Mech Eng), spent his early career developing and implementing maintenance management systems, first as a plant engineer then as a consultant. In the early 1980s, he began to focus on the industrial application of RCM under the guidance of the late F Stanley Nowlan. In 1986, he set up Aladon Ltd, a consulting and training company based in Lutterworth, UK. He is currently managing director of Aladon, which specialises exclusively in the development of reliability-centre management processes and their application to physical assets.